reality that we believe is real because our brains tell us it is. Consciousness is all and everything in the virtual hologram of our experiences brought into awareness by the brain - an electrochemical machine forever viewing streaming codes for experience and interpretation. Consciousness originates from a source of light energy for the purpose of learning. The human biogenetic experiment is consciousness brought forth into the physical by the patterns of sacred geometry that repeat in cycles called Time. Rene Descartes said, "Cogito, ergo sum" -- "I think, therefore I am." He was correct. Consciousness may involve thoughts, sensations, perceptions, moods, emotions, dreams, and self-awareness. It is variously seen as a type of mental state, a way of perceiving, or a relationship between self and other. It has been described as a point of view, an I, or what Thomas Nagel called the existence of "something that it is like" to be something. Many philosophers have seen consciousness as the most important thing in the universe. On the other hand, many scientists have seen the word as too nebulous in meaning to be useful. Consciousness is the subject of much research in philosophy of mind, psychology, neuroscience, cognitive science, and artificial intelligence. Issues of practical concern include how the presence of consciousness can be assessed in severely ill or comatose peohttp://www.livescience.com/images/i/000/088/249/original/human-consciousness.jpegple; whether non-human consciousness exists and if so how it can be measured; at what point in fetal development consciousness begins; and whether computers can achieve conscious states. String theorist Edward Witten says consciousness will remain a mystery. Some mind-ponderers, notably philosopher Colin McGinn, argue that consciousness is unsolvable. Philosopher Owen Flanagan calls these pessimists mysterians, after the 60Õs-era rock group Question Mark and the Mysterians. Recently, physicist Edward Witten came out as a mysterian. Witten is regarded with awe by his fellow physicists, some of whom have compared him to Einstein and Newton. He is largely responsible for the popularity of string theory over the past several decades. String theory holds that all of nature's forces stem from infinitesimal particles wriggling in a hyperspace consisting of many extra dimensions. Is consciousness everywhere? Is it a basic feature of the universe, at the very heart of the tiniest subatomic particles? 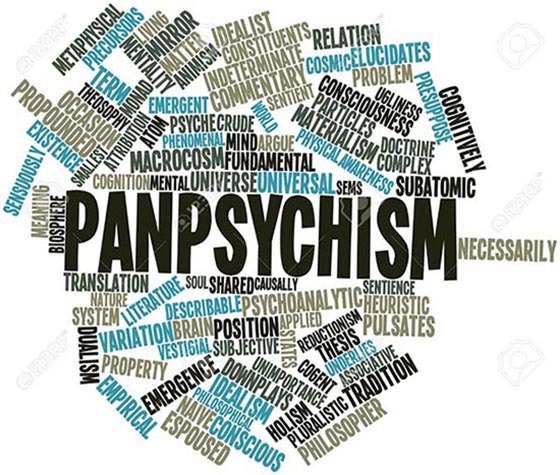 Such an idea - panpsychism as it is known - might sound like New-Age mysticism, but some hard-nosed analytic philosophers have suggested it might be how things are, and it's now a hot topic in philosophy of mind. Panpsychism's popularity stems from the fact that it promises to solve two deep problems simultaneously. The first is the famous hard problem of consciousness. How does the brain produce conscious experience? How can neurons firing give rise to experiences of color, sound, taste, pain and so on? In principle, scientists could map my brain processes in complete detail but, it seems, they could never detect my experiences themselves - the way colors look, pain feels and so on: the phenomenal properties of the brain states involved. Somehow, it seems, brain processes acquire a subjective aspect, which is invisible to science. How can we possibly explain this? The second problem concerns an apparent gap in our scientific picture of the world. Are humans living in a simulation? Is consciousness nothing more than the firing of neurons in the brain? Or is consciousness a distinct entity that permeates every speck of matter in the universe? 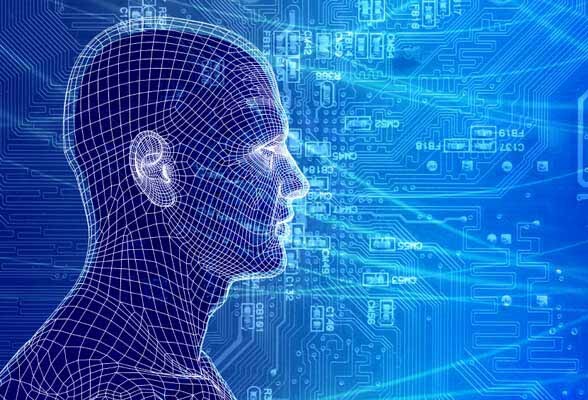 The answer to the question "what is consciousness" could have implications for the future of artificial intelligence (AI) and far-out concepts like mind uploading and virtual immortality. Panpsychism is the view that consciousness, mind or soul (psyche) is a universal and primordial feature of all things. Panpsychists see themselves as minds in a world of minds. Humans have learned to travel through space, eradicate diseases and understand nature at the breathtakingly tiny level of fundamental particles. Yet we have no idea how consciousness - our ability to experience and learn about the world in this way and report it to others - arises in the brain. In fact, while scientists have been preoccupied with understanding consciousness for centuries, it remains one of the most important unanswered questions of modern neuroscience. Now a new study sheds light on the mystery by uncovering networks in the brain that are at work when we are conscious. It's not just a philosophical question. Determining whether a patient is "aware" after suffering a severe brain injury is a huge challenge both for doctors and families who need to make decisions about care. Modern brain imaging techniques are starting to lift this uncertainty, giving us unprecedented insights into human consciousness. Some of the world's most renowned scientists are questioning whether the universe is a living entity that can think and feel and move at will. For centuries, modern science has been shrinking the gap between humans and the rest of the universe, from Isaac Newton showing that one set of laws applies equally to falling apples and orbiting moons to Carl Sagan intoning that 'we are made of star stuff' - that the atoms of our bodies were literally forged in the nuclear furnaces of other stars. Think about reality, consciousness, and creation. Most see creation beyond physical reality. Gods? Aliens? Something else we know-nothing about in our limited capacity here? Philosopher Daniel Dennett Tries, Once Again, to Explain Away Consciousness. Of all the odd notions to emerge from debates over consciousness, the oddest is that it doesn't exist, at least not in the way we think it does. It is an illusion, like Santa Claus or American democracy. Descartes said consciousness is the one undeniable fact of our existence, and I find it hard to disagree. I'm conscious right now, as I type this sentence, and you are presumably conscious as you read it. (I can't be sure about you, because I have access only to my own consciousness.) The idea that consciousness isn't real has always struck me as crazy, and not in a good way, but smart people espouse it. One of the smartest is philosopher Daniel Dennett, who has been questioning consciousness for decades. Dennett is just reiterating, in his oh-so-clever, neologorrheic fashion, what mind-scientists and most educated lay folk have long accepted, that the bulk of cognition happens beneath the surface of awareness. How does consciousness arise? Researchers suspect that the answer to this question lies in the connections between neurons. Unfortunately, however, little is known about the wiring of the brain. This is due also to a problem of time: tracking down connections in collected data would require man-hours amounting to many lifetimes, as no computer has been able to identify the neural cell contacts reliably enough up to now. Scientists plan to change this with the help of artificial intelligence. They have trained several artificial neural networks and thereby enabled the vastly accelerated reconstruction of neural circuits. Renowned physicist Edward Witten recently suggested that consciousness might forever remain a mystery. But his words haven't discouraged other physicists from trying to unravel it. Yes, physicists. In the past, consciousness was almost entirely relegated to the musings of philosophers; it was too ethereal to be studied materially. But as science advanced, so too did our ability to examine the wispy intricacies of the waking mind. Biologists joined the pursuit, followed by neuroscientists with brain scanners in tow. It was only recently that select physicists shifted their attentions from concepts like the Big Bang, quantum information, and electrodynamics and instead began tendering their two cents on consciousness. New research provides further evidence for 'passive frame theory,' the groundbreaking idea that suggests human consciousness is less in control than previously believed. The study shows that even complex concepts, such as translating a word into pig latin, can enter your consciousness automatically, even when someone tells you to avoid thinking about it. The research provides the first evidence that even a small amount of training can cause unintentional, high-level symbol manipulation. Scientists propose a new way of understanding of how the brain processes unconscious information into our consciousness. According to the model, consciousness arises only in time intervals of up to 400 milliseconds, with gaps of unconsciousness in between. The driver ahead suddenly stops, and you find yourself stomping on your breaks before you even realize what is going on. We would call this a reflex, but the underlying reality is much more complex, forming a debate that goes back centuries: Is consciousness a constant, uninterrupted stream or a series of discrete bits -- like the 24 frames-per-second of a movie reel? In 1998, scientists began an experiment to see whether they could physically detect a change in global consciousness during large-scale emotional events such as natural disasters. In December 2015, they finished collecting data from some 40 countries spread across the world throughout 500 major events. Studies at Princeton University have suggested that two or more minds that hold the same thought or emotion simultaneously may have a tangible effect on physical surroundings. The power of thought is not just ideological. It manifests physically. Cohesion between individuals ramps up this power. Quantum physics has proven contradictory to classical, Newtonian physics, setting scientists on the search for a Theory of Everything to bridge the chasm threatening to swallow any confidence we have in our scientific understanding of the world. For Dr. Lanza, whose breakthrough stem-cell research has earned him much acclaim, biology will prove more important than physics in this quest. He gives more clout to understanding human beings than to following abstract strings to unseen dimensions. Whether it's quantum physics or Newtonian physics, it is a system created by our consciousness to organize elements of the world around us, he points out. We create the stories, we give names to things. Results revealed that 40% of those who survived a cardiac arrest were aware during the time that they were clinically dead and before their hearts were restarted.The evidence thus far suggests that in the first few minutes after death, consciousness is not annihilated. Global workspace: Another promising theory suggests that consciousness works a bit like computer memory, which can call up and retain an experience even after it has passed. 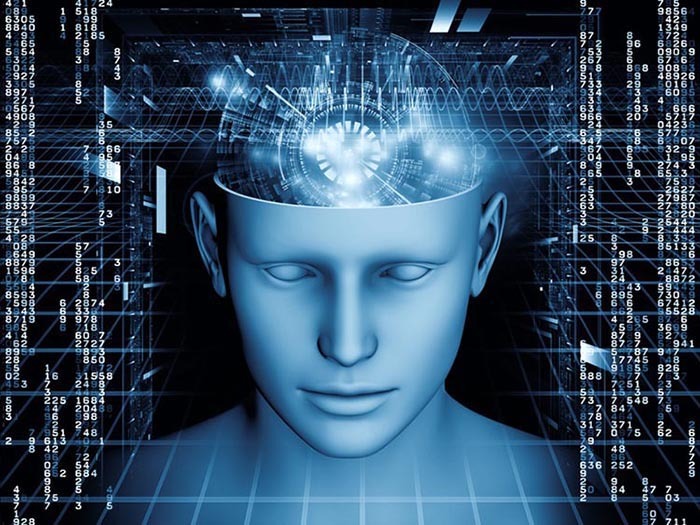 Cogito ergo sum: The 17th century French philosopher RenŽ Descartes proposed the notion of "cogito ergo sum" ("I think, therefore I am"), the idea that the mere act of thinking about one's existence proves there is someone there to do the thinking. Correlates of consciousness: Recently, researchers discovered a brain area that acts as a kind of on-off switch for the brain. When they electrically stimulated this region, called the claustrum, the patient became unconscious instantly. Integrated information: Conscious experience represents the integration of a wide variety of information. Mohamad Koubeissi at the George Washington University in Washington DC and his colleagues describe for the first time a way to switch off consciousness by electrically stimulating a part of the brain called the claustrum. Koubeissi and his team found that Crick and Koch might have been on to something. When they stimulated the area with electrical impulses from the brain electrodes, the woman stopped reading, stared blankly into space and didn't respond to auditory or visual commands. Her breathing slowed as well. She had lost consciousness. When the scientists turned off the electrical stimuli, she immediately regained consciousness with no memory of blanking out. Additional attempts were tried over two days and each time, the same thing happened. Anesthesia makes otherwise painful procedures possible by derailing a conscious brain, rendering it incapable of sensing or responding to a surgeon's knife. But little research exists on what happens when the drugs wear off. Research shows that recovery from deep anesthesia is not a smooth, linear process but is instead a dynamic journey with specific states of activity the brain must temporarily occupy on the way to full recovery. Consciousness is one of the most fascinating and elusive phenomena we humans face. Every single one of us experiences it but it remains surprisingly poorly understood.The main player in this story is something called the claustrum. The word originally described an enclosed space in medieval European monasteries but in the mammalian brain it refers to a small sheet of neurons just below the cortex, and possibly derived from it in brain development. The cortex is the massive folded layer on top of the brain mainly responsible for many higher brain functions such as language, long-term planning and our advanced sensory functions. Interestingly, the claustrum is strongly reciprocally connected to many cortical areas. The visual cortex (the region involved in seeing) sends axons (the connecting "wires" of the nervous system) to the claustrum, and also receives axons from the claustrum. Associating an emotional expression of the face with a motion of the mind was an astonishing insight by Da Vinci and a surprisingly modern metaphor. Today we correlate specific patterns of electrochemical dynamics (i.e. motions) of the central nervous system, with emotional feelings. Consciousness, the substrate for any emotional feeling, is itself a "motion of the mind," an ephemeral state characterized by certain dynamical patterns of electrical activity. Even if all the neurons, their constituent parts and neuronal circuitry remained structurally the same, a change in the dynamics can mean the difference between consciousness and unconsciousness. The idea that consciousness arises from quantum mechanical phenomena in the brain is intriguing, yet lacks evidence, scientists say. Physicist Roger Penrose, of the University of Oxford, and anesthesiologist Stuart Hameroff, of the University of Arizona, propose that the brain acts as a quantum computer - a computational machine that makes use of quantum mechanical phenomena (like the ability of particles to be in two places at once) to perform complex calculations. In the brain, fibers inside neurons could form the basic units of quantum computation, Penrose and Hameroff explained at the Global Future 2045 International Congress, a futuristic conference held here June 15-16. The idea is appealing, because neuroscience, so far, has no satisfactory explanation for consciousness - the state of being self-aware and having sensory experiences and thoughts. But many scientists are skeptical, citing a lack of experimental evidence for the idea. Consciousness: How do you go about explaining that? Indeed, many scientists are currently studying what happens in the brain and how the mind relates to the outside world, but quantifying what gives us consciousness is proving to be a rather tough nut to crack. Is there some supernatural influence? Is it purely biological? Or is there something else, something more... physicsy? Don't you think our consciousness might be explained by the Large Hadron Collider which is probing states of matter that existed immediately after the Big Bang, so it's bound to throw up some new physics -- don't you reckon it might uncover some sort of particle, or energy, that might explain our connectivity with the Universe? Scientists have detected glimmers of awareness in some vegetative brain-injury patients and have even communicated with one of them - findings that push the boundaries of how to assess and care for such people. The new research suggests that standard tests may overlook patients who have some consciousness, and that someday some kind of communication may be possible. They were in a deep sleep, yet sounds, such as a teakettle whistle and a cat's meow, somehow penetrated their slumber. The 25 sounds presented during the nap were reminders of earlier spatial learning, though the Northwestern University research participants were unaware of the sounds as they slept. Yet, upon waking, memory tests showed that spatial memories had changed. The participants were more accurate in dragging an object to the correct location on a computer screen for the 25 images whose corresponding sounds were presented during sleep (such as a muffled explosion for a photo of dynamite) than for another 25 matched objects. THE MAN dangles on a cable hanging from an eight-story high tower. Suspended in a harness with his back to the ground, he sees only the face of the man above, who controls the winch that is lifting him to the top of the tower like a bundle of cargo. And then it happens. The cable suddenly unclips and he plummets towards the concrete below. Panic sets in, but he's been given an assignment and so, fighting his fear of death, he stares at the instrument strapped to his wrist, before falling into the sweet embrace of a safety net. A team of scientists will spend weeks studying the results. The experiment was extreme, certainly, but the neuroscientist behind the study, David Eagleman at Baylor College of Medicine in Houston, Texas, is no Dr Strangelove. When we look back at scary situations, they often seem to have occurred in. Brain-damaged patients who appear to have lost signs of conscious awareness might still be able to create new memories, showing signs of new neural networks and potential for partial recovery. n patients who have survived severe brain damage, judging the level of actual awareness has proved a difficult process. And the prognosis can sometimes mean the difference between life and death. How do we know that a newly born and healthy infant is conscious? Does sentience appear in the womb, at birth or during early childhood? Although a newborn lacks self-awareness, the baby processes complex visual stimuli and attends to sounds and sights in its world, preferentially looking at faces. The infant's visual acuity permits it to see only blobs, but the basic thalamo-cortical circuitry necessary to support simple visual and other conscious percepts is in place. And linguistic capacities in babies are shaped by the environment they grow up in. Exposure to maternal speech sounds in the muffled confines of the womb enables the fetus to pick up statistical regularities so that the newborn can distinguish its mother's voice and even her language from others. A more complex behavior is imitation: if Dad sticks out his tongue and waggles it, the infant mimics his gesture by combining visual information with proprioceptive feedback from its own movements. It is therefore likely that the baby has some basic level of unreflective, present-oriented consciousness. A new paper suggests that four specific, separate processes combine as a "signature" of conscious activity. By studying the neural activity of people who are presented with two different types of stimuli -- one which could be perceived consciously, and one which could not -- researchers show that these four processes occur only in the former, conscious perception task.